Traditional cultures have elaborate preparations and ceremony to support individuals transitioning from one life station or role to another. How can we use this knowledge in relation to women’s experience of birth and motherhood in America? 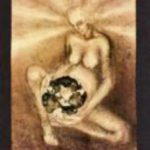 Learn simple techniques that can easily be taught to and practiced by birth companions, doulas, and midwives, and OB’s who want a more holistic practice! Leslie Stager RN, LMT(207) 323-5101Send me an EmailAvailable in Maine, California, Oregon, Hawaii Follow me on Facebook Join my mailing list to receive the article: Touch Benefits During Pregnancy, Birth, & Postpartum.